I worked with Louise from On The Hoof Food right from the start of her setting up her business. We first met to discuss a brief and I then worked on logo and branding for the website. 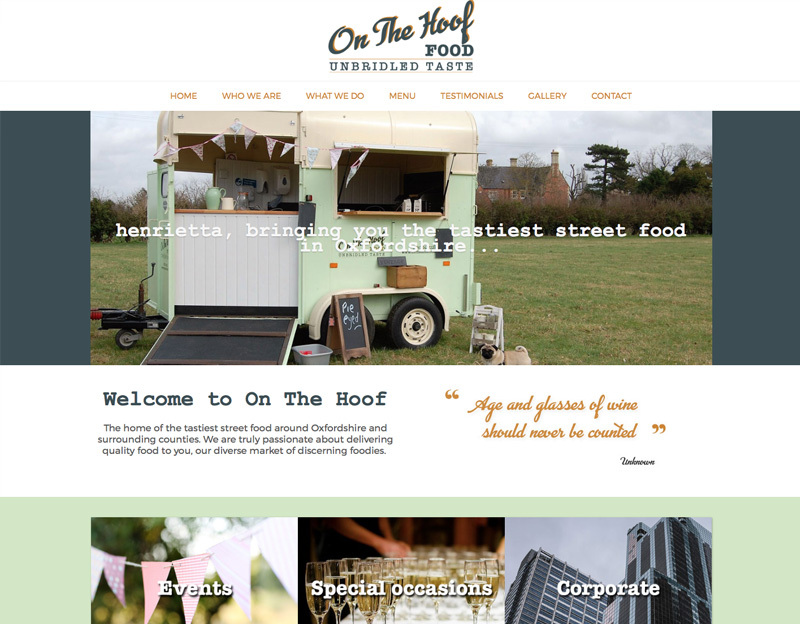 On The Hoof Food is a converted vintage horse box offering home cooked food for events and parties. It was lovely to see my designs then translated to the conversion of the horse box and then the website. The website is built in WordPress so that it can be updated regularly by On The Hoof Food.